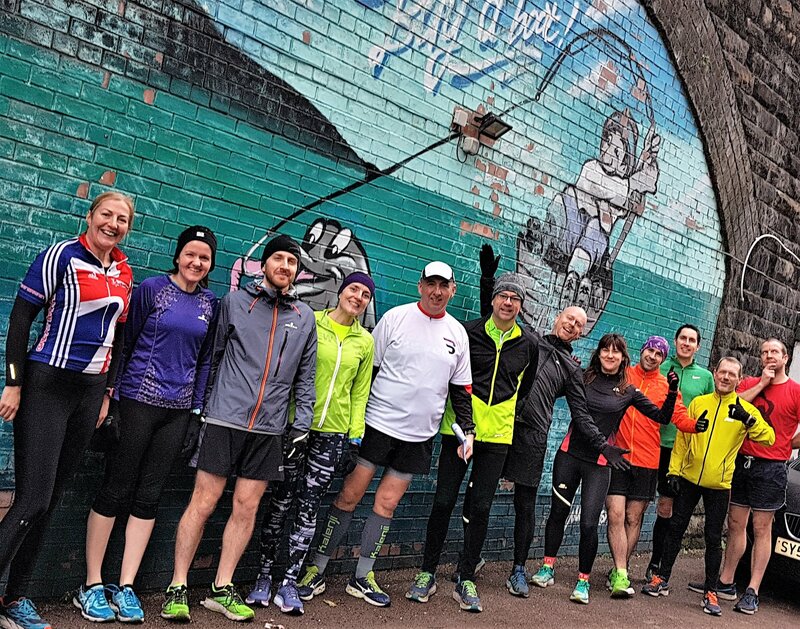 Whilst our training schedule, and the race calendar, form a large part of what we get up to, club members also organise and take part in a wide variety of informal and social runs, which are a great way to enjoy taking part, getting to know fellow club members better, and seeing parts of the city and region. 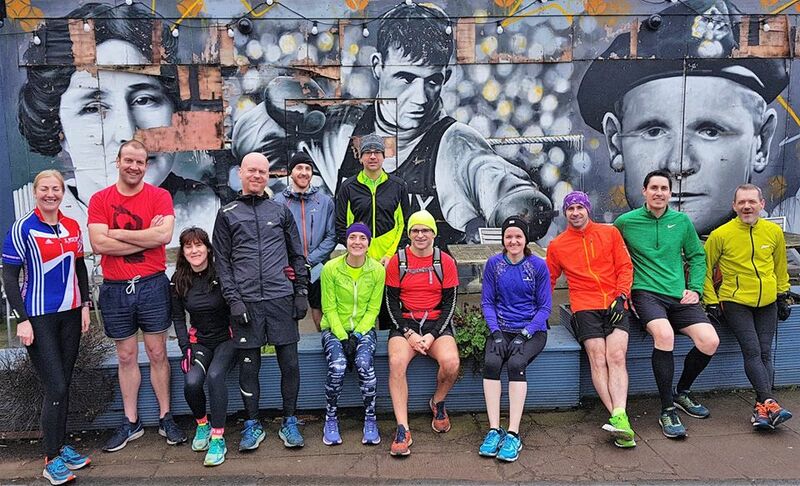 We’ve a long-run group who head out at the crack of dawn around the south-side of Glasgow on Friday mornings, and another group that prefers a post-working day socially paced run. 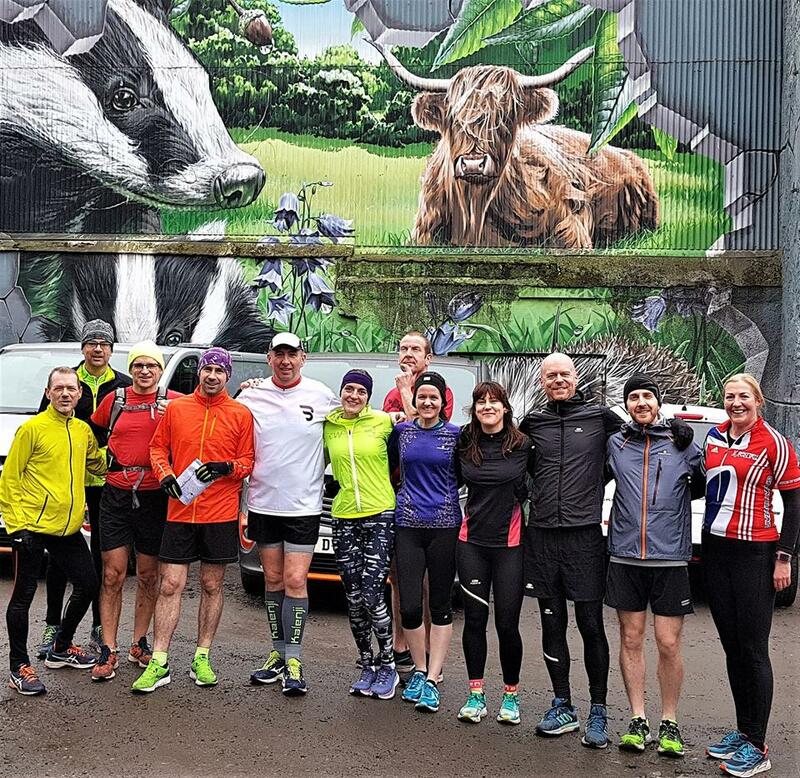 Members are also very regularly along at (or even organising) one of the many parkruns that now take place in and around Glasgow, as the consolidated results for the club show. 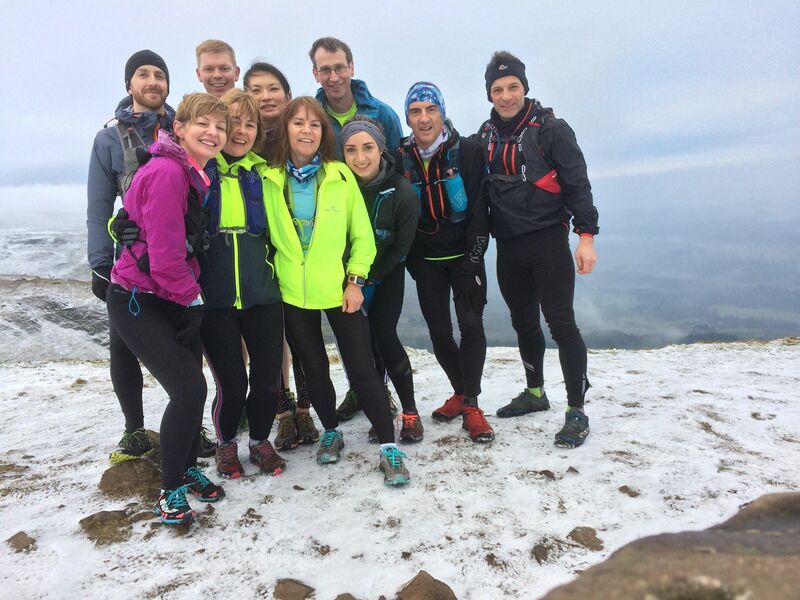 The last couple of weeks a couple of different runs took place, which resulted in some great pictures and stories. 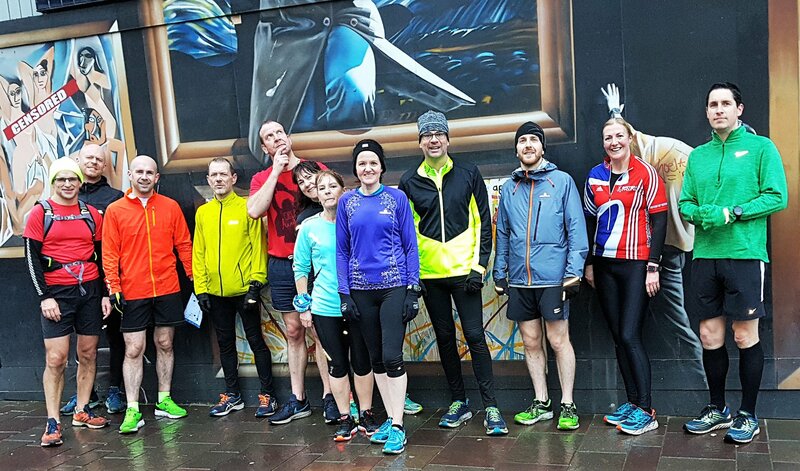 Gordon Goldie devised the route, and members headed out last Saturday, around the centre of Glasgow to check out as many of the city centre murals as they could fit in. 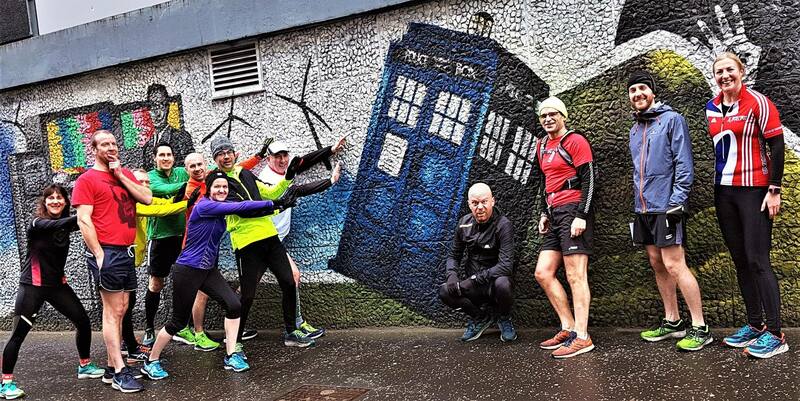 There’s plenty of details, and some fabulous pictures, on this post on our facebook page (facebook.com/bellahoustonroadrunners). A few of our favourite pictures from the run below. Gordon is already devising plans for the next themed tours of Glasgow for members! 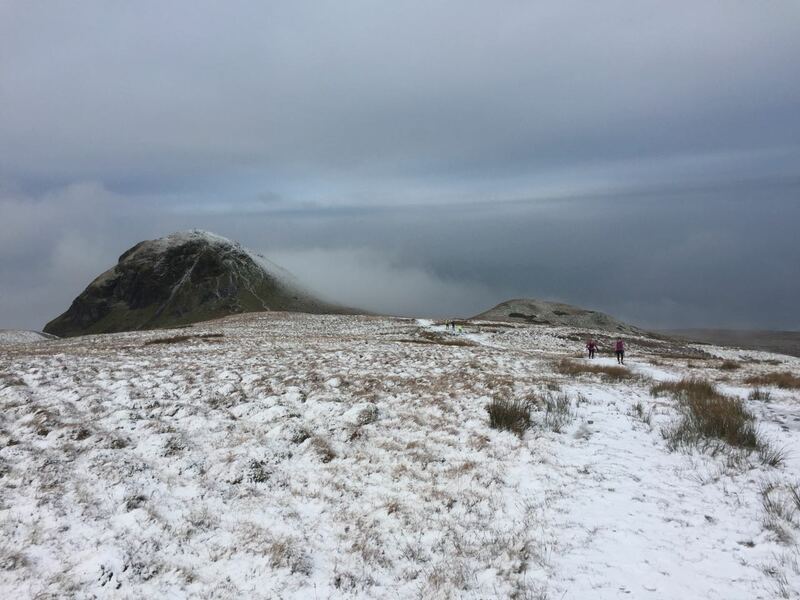 If hills and trails are more your thing, a group of members headed out into the snowy Campsie Fells on Saturday, and ran up Dumgoyne, and then onwards to Earl’s seat. It was a fantastic day for it, and the initial climb up Dumgoyne was soon a distant memory. A few pics from the morning on our facebook page. There’s already talk of the next run to Glen Loin in a few weeks time! Big thanks to Derek Rigmand for organising and leading the run. The club IS meeting as usual! Become a training member of the club from as little as £45pa (£3.95 per month). Concessions and basic membership also available.